Congrats to Kristin; I hope you enjoy the book. It looks to be a good summer read. If you’re looking for some good reads, check out the giveaways for Guardians of the Gate and The Last Romanov. Plus there is the steller 5 year blogiversary giveaway. Stay tuned for the 3rd part of the Ernest Hemingway A Farewell to Arms read-a-long dicussion. 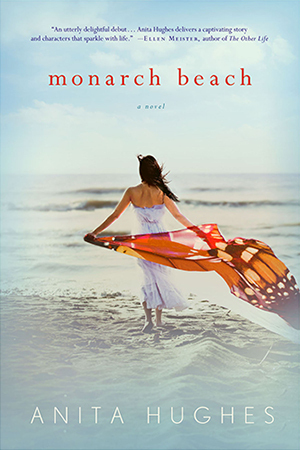 Monarch Beach by Anita Hughes looks like another great summer read, and it will be published on June 19. The debut novel tackles what it means to cope with love and betrayal as Amanda Blick thinks she has the perfect marriage only to discover her cheating husband is having an affair with his sous-chef. She takes up her mother’s offer to get away with her son Max to St. Regis Resort in Laguna Beach. While she should be relaxing and getting her life back on track, life throws her another curve ball as a divorcee enters the picture and showers her with attention. Unfortunately, I don’t have time to review every great book out there before publication, but these are the moments I live for — writer’s willing to share their writing spaces with my readers, and today, that’s just what Anita Hughes is going to do. Please give her a warm welcome. I am very fortunate when it comes to choosing a favorite writing spot. I live in what is arguably one of the most beautiful places in the world. Six years ago, my family and I moved into a villa on the grounds of the St. Regis, Monarch Beach. It is an interesting place to raise children – the year is marked not just by the school calendar – but by the Easter Egg Hunt on the Grand Lawn, the Monarch Butterfly Release every Saturday during the summer, and the carolers who come to the hotel each Christmas. Living at the St. Regis also gives me more beautiful places to write than any author could ask for. For months, when the idea for my debut novel MONARCH BEACH was percolating, I sat at the table in front of CRUST, the resort café, gazing out the window. This became my regular spot and the staff at CRUST knew not to ask if I wanted a coffee or chocolate croissant. I only wanted to soak up the ambiance, and let the story form in my head. When I was ready to put the words down on my laptop, it was time to change locations. I didn’t want to be influenced by my surroundings; I only wanted to be guided by my thoughts. I looked around my villa to find the ideal writing spot. I considered the sofa in the living room that faces the bookshelf. But I always found myself gazing at the lovely covers of my book collection, and couldn’t concentrate on my own burgeoning manuscript. Finally I settled on the love seat in my bedroom. It sits next to the window that overlooks the golf course. It is the perfect spot and I have written all three novels there. (Two more come out next year). Occasionally a golf ball lands in our garden and scares our dog, or I see baby bunnies and have to stop to admire them. But there is no Internet connection, no glorious view of the Pacific Ocean, no smell of fresh coffee or chocolate croissants to distract me. When I write, I like to leave the world I am in and submerge myself in my writing. Even though I am surrounded by so much natural beauty, I am bit like a horse with blinders on. I only want to see what is right in front of me: the words appearing on my computer screen. Thanks, Anita, for sharing your writing space with us. ANITA HUGHES attended UC Berkeley’s Masters in Creative Writing Program, and has taught Creative Writing at The Branson School in Ross, California. Hughes has lived at The St. Regis Monarch Beach for six years, where she is at work on her next novel. Please check out her Website. Win a copy of Monarch Beach by commenting on this post how you react to obstacles. Giveaway is open internationally. 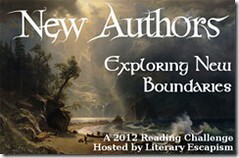 Deadline June 15, 2012.